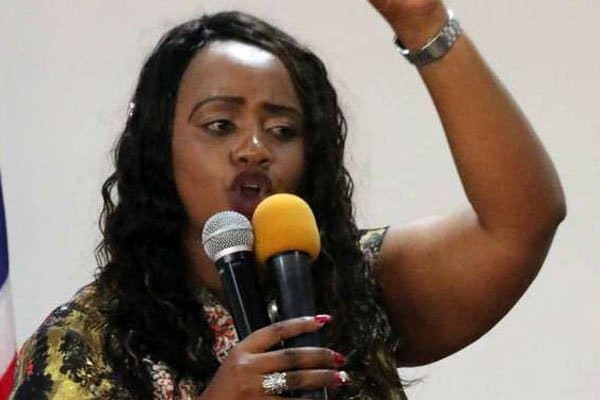 Laikipia Woman Representative Catherine Waruguru, was in for a rude shock on Saturday after she checked into a hotel with her husband but were kicked out because they did not have with them a marriage certificate. The couple checked into Sunshine Upperhill Hotel in Kericho at 4 pm and left shortly to visit their in-laws. But when they returned at around 9.30 pm, the hotel blocked them from accessing their room. Ms Waruguru is the second wife of Kiprotich Kiget, a Nanyuki- based lawyer. She claims that the rule is discriminatory and embarrassed her as a leader. 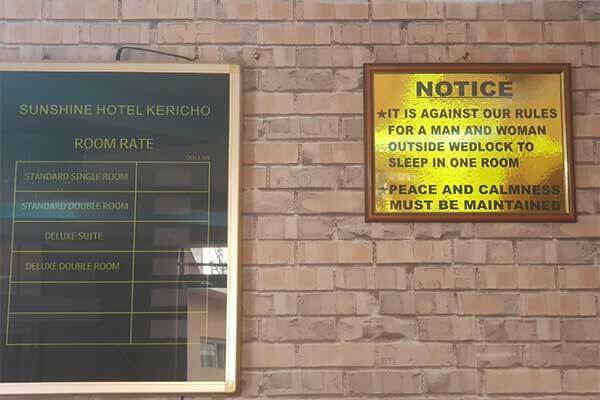 The hotel management however maintains that there is a strict rule for partners who are not married to sleep in separate rooms and the married folk are required to produce a marriage certificate to prove the same. Different leaders tried to reach the management to intervene but the management did not give in. The couple was forced to find accommodation elsewhere.